This model was introduced in 2019. 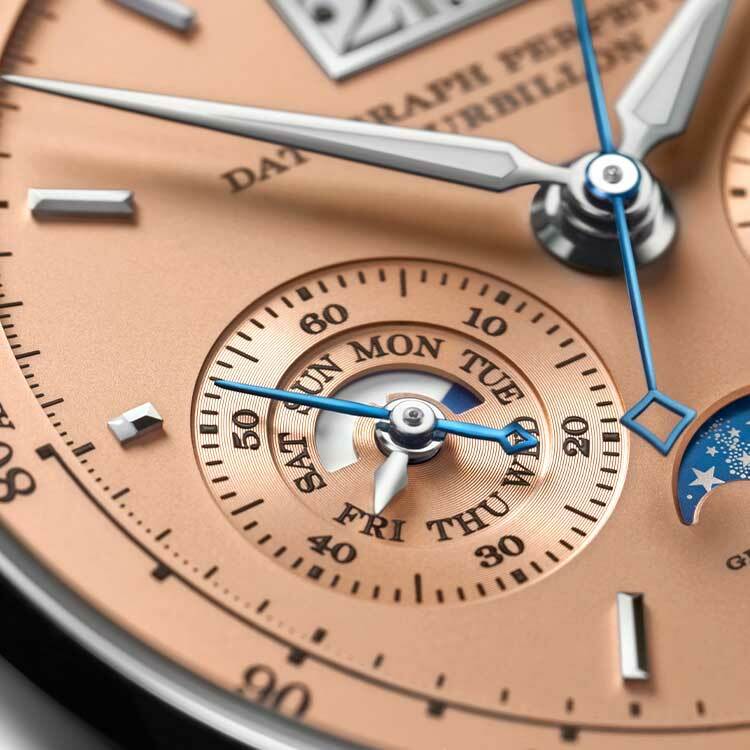 The dial is crafted from solid pinkgold and graced with solid-gold appliques and hour markers. The hands are made of rhodiumed gold and blued steel. The hour and minute hands as well as the hour markers at 3, 6, 9, and 12 o'clock are luminous. Price: 285.000 €* *Recommended retail price in Germany including VAT. Non-binding quotation, prices subject to change. Traditional style and design hallmarks typify A. Lange & Söhne timepieces and imbue them with inimitable charisma.